Denmark and MIT are collaborating to send students across the Atlantic to work in Danish companies. “Denmark has some of the best working conditions in the world. I’m eager to learn more about the customs and culture, especially as it pertains to the workplace,” says sophomore Evie Mayner. Mayner will be one of the first students to travel to Denmark via the MIT International Science and Technology Initiatives (MISTI) program, thanks to the creation of a new program that connects the country with the MIT community. The Confederation of Danish Industry (DI) has provided support to MIT to launch this new Denmark program, which sponsors students to work in Denmark on internship and research opportunities. This is part of an effort to attract international talent to Denmark in several key industries in which Denmark and Boston are mutually strong: life science, information technology (IT), and engineering. The idea for a Denmark program first came about during a January 2018 visit from DI Chief Operating Officer Thomas Bustrup and his delegation. With support from Industriens Fond, DI was able to contribute three years of funding as a catalyst for the program. MIT-Denmark began in September 2018 and will officially launch over the summer when the first cohort of MIT students is sent overseas. “Ideally,” says Mayner. Denmark has gained attention in recent years as the idea of "hygge" — a Danish word that roughly means coziness — has become a trend. Similarly, Denmark has been named the second-happiest country by the World Happiness Report and has placed in the top three for seven years in a row. Another selling point is the brand of sustainability that Denmark has embraced. In 2018, Denmark ranked third out of 180 countries on the Environmental Performance Index, having ranked fourth the previous time the assessment was made. Beyond this, Denmark has a cultural legacy of respect and consideration for the environment. One example of Danish commitment to sustainability is MIT-Denmark host Aquaporin A/S, a global water technology company dedicated to revolutionizing water purification through the use of industrial biotechnological techniques and thinking. “In Aquaporin, we believe that innovation is driven by gathering people with different scientific background, culture, and perspective,” says Mads Andersen, head of Aquaporin Academy, the company’s student program. While buzzwords around Denmark — clean energy, work-life balance, and hygge — make it an easy sell for students, the program is also helping tackle a concern with the Danish workforce, as companies struggle to fill vacant positions. This problem stems from a combination of factors, including a shortage of candidates with backgrounds that match Denmark’s growing industries, primarily engineering, life science, and IT. Another aspect is a sheer numbers game — most people who want to work in Denmark are already working. “Danish businesses are thriving, and more and more companies find themselves in a position where they have to turn down orders due to lack of highly-skilled specialists,” says Linda Duncan Wendelboe, head of DI Global Talent. MIT-Denmark students will not only build relevant experience toward their academic and professional development, they will also get a taste of what it means to live in a modern welfare state, work in one of the best countries for business, and take new approaches to innovation and entrepreneurship the Danish way. 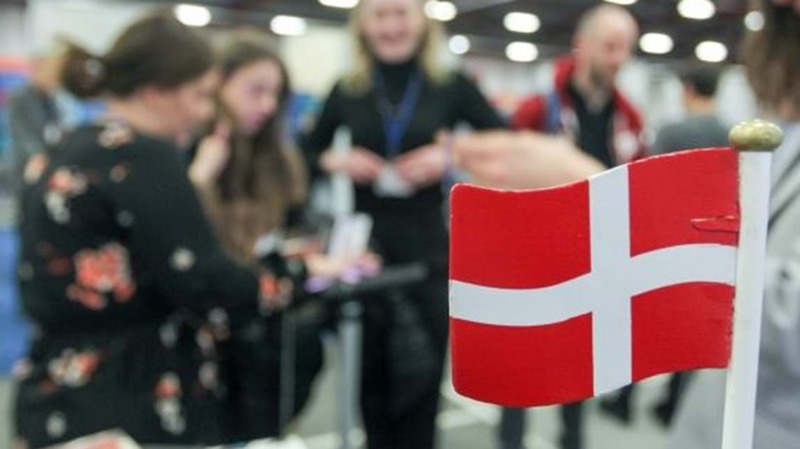 Many host companies and universities view this as a way for students to dip their toes in Danish culture, hopeful that they will consider Denmark in their career paths not only for the strong industries in IT, life science, and sustainability, but also for the life-quality benefits. Other organizations hosting MIT students include 3Shape, Copenhagen Business School, COWI, Denmark’s Technical University (DTU), Grundfos, LEO Pharma, Maersk (the first company to make a match with an MIT student), SPACE10, University of Copenhagen, Visma, and several start-ups housed within BLOXHUB, among others. At the same time that the Danish government has a growing interest in the greater Boston area, so do Danish companies. A Danish investment firm is backing the offshore wind farm in New Bedford, while renewable energy powerhouses, such as Ørsted and Vestas, are making their mark on the implementation side. Furthermore, both larger companies and smaller Danish start-ups have opened up offices in Boston in the last couple of years. Danish household names such as Novo Nordisk, Danfoss, and LEO Pharma have a handful of staff at the Cambridge Innovation Center (CIC), with a smaller Danish biotech company, Medtrace, nearby. MIT-Denmark Program Manager Sydney-Johanna Stevns has big dreams for the program. “There is such a wealth of opportunity and innovation in Denmark; connecting this to MIT has been naturally synergistic. In a few years, I expect we will be sending three times as many.